MoviePass, the fiscally-challenged theatrical ticket subscription service, has reportedly shed about 90% of its peak of more than 3 million subscribers from June 2018. According to BusinessInsider, which cited internal data obtained from the former high-profile service, MoviePass has generated just 13,000 new subs since launching an “uncapped” plan in February affording subs daily access to a theatrical screening for $9.95 monthly fee. The new plan, which was a reboot of a previous price point that attracted 100,000 subs in 48 hours after launching in 2017, also enables MoviePass to throttle frequent users. 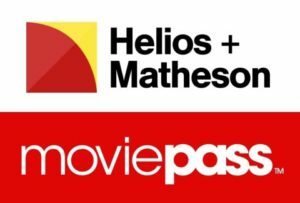 MoviePass owner Helios and Matheson Analytics disputes the subscriber tally, calling the data “incorrect” without elaboration. 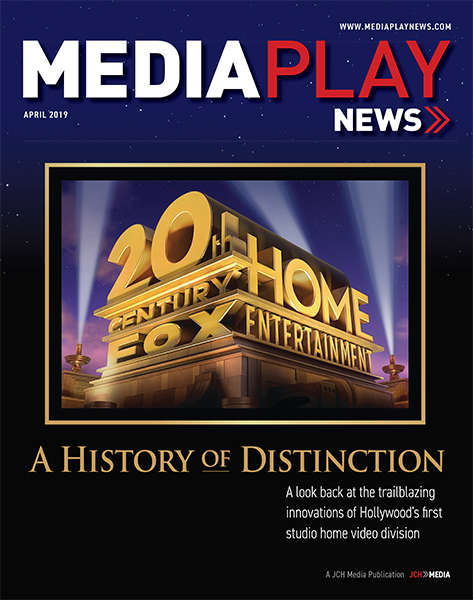 Subscribe HERE to the FREE Media Play Daily Newsletter! Regardless, the MoviePass business model paying exhibitors face value for every movie ticket consumed by subscribers remains financially unsustainable. The service hemorrhaged hundreds of millions of dollars, sending HMNY stock into a nosedive. Company shares were delisted from Nasdaq earlier this year. Stacy Spikes, who co-founded MoviePass in 2011, sold it to HMNY in 2017 and was fired from the company in 2018, told BusinessInsider the $9.95 price point was never intended to be permanent. “[It was] thought of as a promotional thing, in a way celebrating HMNY buying us. But we hit 100,000 [subs] in 48 hours. So I’m like, ‘OK, turn it off. We reached our goal,’” Spikes said. The executive concluded that $12.99 was the least MoviePass could charge, while a $75 option including Imax and 3D screenings was considered as well. “But the overriding voice [at HMNY] was, ‘No, this is awesome, look how fast we’re growing.’ And it was this moment of ‘but $10.’ It doesn’t fly. Now the plane is falling,” Spikes said. In fact, when HMNY CEO Ted Farnsworth and MoviePass CEO Mitch Lowe were photographed joyfully in front of an AMC Theatre on Times Square after surpassing 1 million subs, Spikes had a different reaction. Indeed, AMC Theatres, which had initially been supportive of MoviePass under CEO Gerry Lopez, became increasingly less so under new CEO Adam Aron. Aron made it a point to repeatedly question the MoviePass business model on fiscal calls and in press releases – despite generating millions in revenue from MoviePass subs. Last year AMC launched the AMC Stubs A-List subscription service, which has generated about 700,000 subscribers paying $19.95 monthly for access to three screenings weekly in any format. AMC recently raised prices to $21.95 or $23.95 depending on the market subscribers live in. Spikes says the initial success of MoviePass, AMC Stubs A-List and Cinemark’s service underscores market demand for a subscription business model. 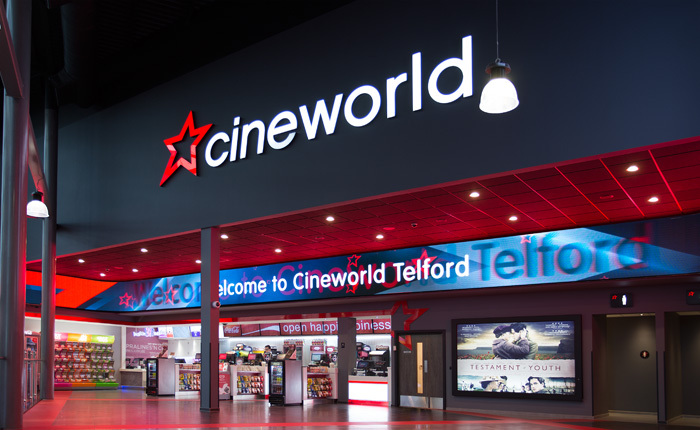 Cineworld, the world’s second-largest theatrical chain (after AMC Theatres), has joined a growing dispute regarding Netflix’s aggressive marketing foray into industry movie awards. The U.K.-based chain, which acquired Regal Cinemas last year for $3.6 billion, this week informed the British Academy of Film and Television Arts (BAFTA) that it was pulling support for the organization after it honored Netflix original movie, Roma, with the Best Film award, among others, in February. In a letter to BAFTA, Cineworld cited the organization for breaking its rules by nominating a “made for TV” movie for awards consideration. Netflix’s black-and-white film about a 1970s family in Mexico picked up four BAFTA trophies, including for cinematography, foreign language and director (Alfonso Cuarón). Like this story? Then subscribe HERE to our FREE daily newsletter! While Netflix’s aversion to the traditional 90-day theatrical window for original movies isn’t new, the streaming pioneer’s aggressive marketing push and success with Roma has upped angst among exhibitors and some industry veterans. In an attempt to assuage industry protocol, Netflix released Roma in select (largely) independent theaters early, followed quickly with global streaming access. Combined with a marketing blitz in Los Angeles and New York, Roma picked up 10 Oscar nominations, winning the same three BAFTA categories – but not Best Picture. BAFTA, which denied it broke its own rules affording Roma awards consideration, said it would initiate a “review of our eligibility criteria in the coming months,” as reported by Deadline.com. 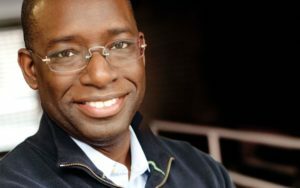 Netflix, which reportedly spent $30 million marketing Roma to voting members of the Academy of Motion Picture Arts and Sciences, upped its marketing spend after one of its first original movies – critically acclaimed Beasts of No Nation, starring Idris Elba – was shunned by major industry awards in 2015, despite 91% favorable rating on Rotten Tomatoes. The film generated just $90,000 at the box office following a nationwide exhibitor boycott. Notably, Elba became the first actor to win a SAG best supporting actor award for his performance without being nominated for an Oscar. AMC Theatres said its Stubs A-List subscription ticket service added 100,000 subscribers in January and February to increase its membership base above 700,000. AMC Theatres launched A-List (priced from $19.95 monthly) on June 26, 2018 and was originally expected to hit 500,000 members 12 months after launch. Membership includes access up to three movies per week, in every available AMC showtime and format, including Imax at AMC, Dolby Cinema at AMC, RealD 3D and Prime at AMC. AMC said its conventional Stubs A-List membership program has totaled 14 million attendees, including the purchase of traditionally-priced tickets for family and friends. AMC Stubs Premiere and A-List members receive a $5 credits for every 5,000 points earned, which translates to a 10% credit toward future AMC purchases. AMC Theatres Dec. 26 announced that its Stubs A-List subscription ticket service has surpassed 600,000 subs since launching six months ago. The nation’s largest theatrical chain had expected to reach 500,000 A-List members after 12 months. The $19.95 monthly service (which increases to $23.95 on Jan. 9, 2019 at AMCtheatres.com and AMC Theatres app) bowed on June 26 in response to rival service MoviePass. 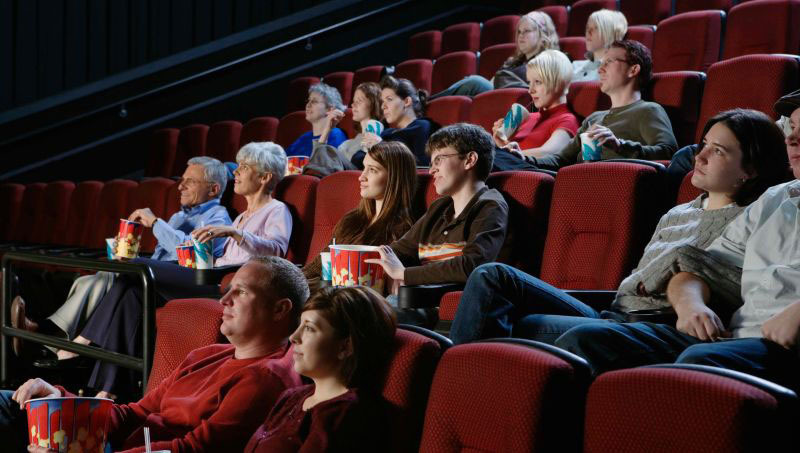 The service affords members upwards of three movies per week, in every available AMC showtime and format, including Imax at AMC, Dolby Cinema at AMC, RealD 3D and Prime at AMC. A-List subs also get the discounts and benefits of AMC Stubs Premiere, including free upgrades on popcorn and soda, free refills on large popcorn, express service at the box office, concession stand, and 100 points for every $1 spent for the AMC Stubs A-List monthly fee, tickets purchased for friends and family, and food & beverage spending at AMC. AMC Stubs Premiere and A-List members receive a $5 virtual reward for every 5,000 points earned, which translates to a 10% credit toward future AMC purchases. CEO Adam Aron said the success of A-List contributed to Hollywood’s record $11.4 billion domestic 2018 box office. MoviePass, the beleaguered theatrical ticket subscription service, is set to roll out new monthly pricing plans it hopes will financially stabilize the service and restore investor confidence in corporate parent Helios and Matheson Analytics, among other goals. In an interview with Variety, MoviePass CEO Mitch Lowe said the new tiered pricing plans – ranging from the existing $9.95 to $24.95 – would be dependent on where subscribers lived. 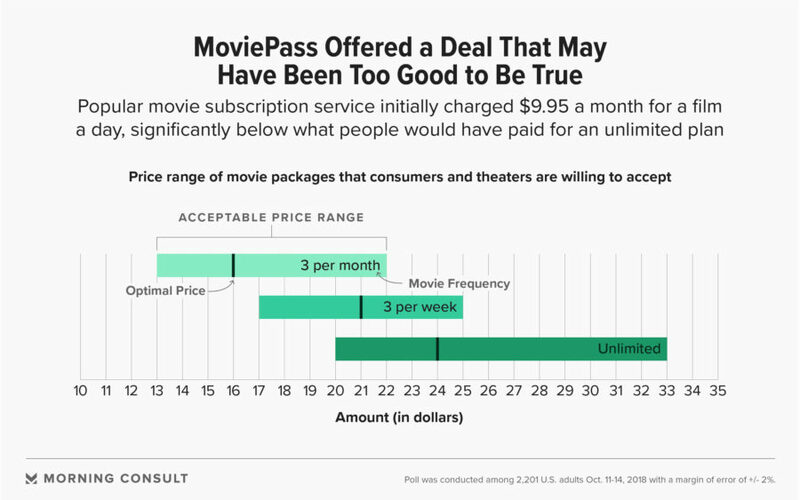 As a result, consumers living in rural areas would likely see no change to the $9.95 fee (dubbed “select”) affording access to three movies per month at select times, while moviegoers in major markets such as Los Angeles and New York would pay $14.95. A $19.95 “red carpet” option – which mirrors the fee of a competing service from AMC Theatres – enables rural subscribers access to three screenings at any time in any format (Imax, 3D, 2D). The option costs $24.95 in major cities. Indeed, the service’s well-chronicled missteps largely revolved around an unsustainable business model that paid exhibitors full price for every ticket consumed by subscribers paying less than $10 per month for daily access to a theatrical screening. With MoviePass unable to convince exhibitors to share in the financial risk in return for enhanced foot traffic and sharing user data – the latter triggering data breach concerns – the service began to hemorrhage money and alienate consumers and investors. In HMNY’s most-recent fiscal report, the company reported a loss of $137 million and just $6.2 million in cash available. The parent’s stock is worth pennies and in risk of being delisted by Nasdaq – despite a reverse-stock split last summer. A planned second reverse-stock split was abandoned after failing to generate enough shareholder approval. Since launching Stubs A-List theatrical ticket subscription service less than five months ago as competition to MoviePass, AMC Theatres has generated 500,000 subs to the $19.95 monthly service. As a result, CEO Adam Aron now says the service will be profitable in 2019 – a year ahead of projections. Speaking Nov. 8 on the fiscal call, Aron said the service is generating $120 million in annual revenue that didn’t exist six months ago – excluding concessions. In addition, user data is tracking downward – with average subscriber screenings per month dropping from 3.4 to less than three. The executive believes the ratio will drop to 2.5 screenings, which translates favorably on the bottom line. As subscribers attend fewer screenings, margins inch toward profitability. “If this trend continues as other proprietary data in our possession often suggests that it will, we now believe … the program could be [fiscally] accretive,” Aron said. Indeed, AMC plans to raise A-List pricing by 20% in California, New York, New Jersey, Connecticut, Massachusetts; and up 10% in other big markets. Aron said feedback on social media to the planned hikes has been positive. “You should read the Reddit message boards about A-List and our competitors. They’re fans of A-List because it offers them so much value,” he said. Meanwhile, total AMC domestic Q3 revenue grew 5.9% to $895.6 million. 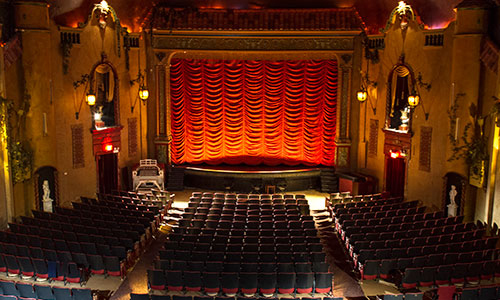 The nation’s largest theatrical chain outperformed the industry, growing domestic attendance per screen by 9.1%, which was more than 4% better than the industry. The company, however, reported a net loss of $100.4 million, up 135% from a loss of $42.7 million during the previous-year period. Wall Street wasn’t impressed, sending shares down 14% on Nov. 9. As theatrical ticket subscription pioneer MoviePass struggles to remain in business, a new survey reveals consumers are willing to pay more than twice the $9.95 fee MoviePass currently charges subscribers. The survey conducted Oct. 11-14 among 2,201 adults from Morning Consult and commissioned by The Hollywood Reporter, found respondents would pay upwards of $22 monthly to watch three theatrical screenings monthly. Respondents said they would also pay $25 to see three movies per week, and $33 for unlimited screenings. MoviePass set the exhibition industry on its ear last year when it launched service offering subscribers daily access to a theatrical screening for less than $10 per month. With the service paying exhibitors such as AMC Theatres and Regal Cinema face value for each ticket consumed by subscribers, fiscal losses began to spiral out of control. MoviePass now limits subs to three select screenings per month. 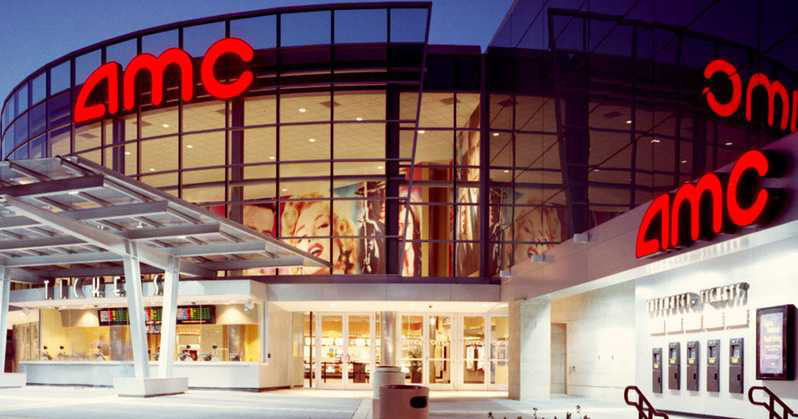 Restrictions that resulted in AMC and Cinemark launching competing ticket subscriptions – the former priced at $19.95 enabling subs access to three screening weekly in any format, including Imax, Dolby Cinema and RealD 3D. Three in 10 frequent moviegoers subscribe to AMC Stubs A-List, while 27% subscribe to MoviePass. Notably, the survey revealed that just 6% of respondents are “very likely” to purchase a subscription service, while 23% could go either way. That left 71% of respondents who said they were either not very likely (32%) to purchase a subscription or had no interest (29%) in buying one. Another 10% didn’t know or had no opinion. Millennials are the most likely to purchase a ticket subscription. 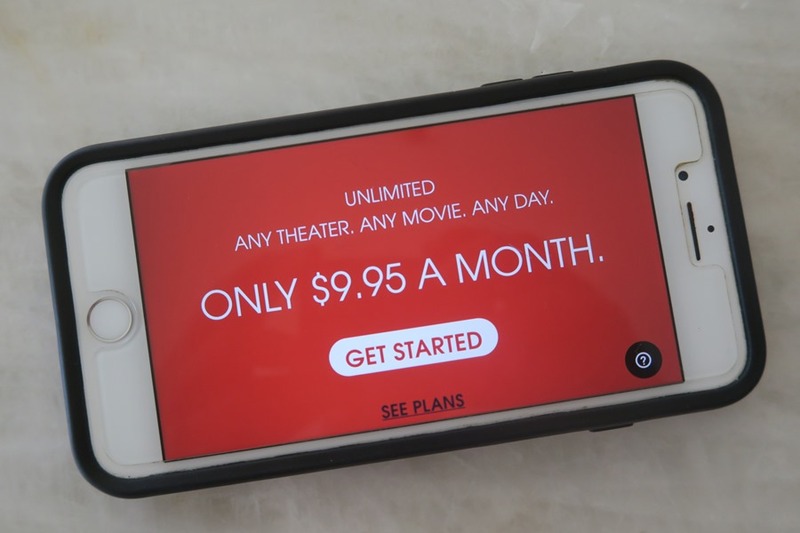 According to the survey, perks that would incentivize consumers to use a subscription service include: unused tickets rolling over to the next month (22%); ability to choose from a variety of plans/theaters (19%); the number of movies included (15%); and the ability to use subscription tickets to bring friends (25%). 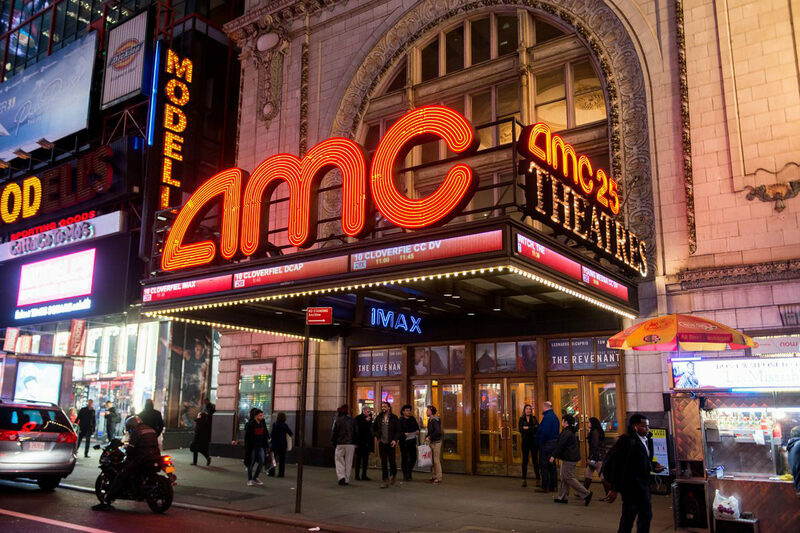 AMC Theatres Sept. 26 announced that AMC Stubs A-List – the ticket subscription service launched three months ago to compete against MoviePass – has generated more than 380,000 monthly subscribers – including 120,000 members in the past six weeks. The nation’s largest theatrical chain heralded the sub growth during the traditional “slow period” at movie theatres in late August and September, as the summer blockbusters give way to school schedules. AMC said A-List is also driving box office revenue at its theaters, as the service’s impact on attendance, along with AMC’s other initiatives and a film slate, has AMC in position to increase U.S. attendance year over year for the first time since 2015, excluding the impact from the Carmike acquisition. A-List subs are watching a wide variety of movies, including more than 363 different movie titles in just under 90 days. Early program analysis indicates incremental movie-going frequency among members after joining the program is significant. AMC noted that more than 45% of A-List subs were not previously signed up to its existing AMC Stubs loyalty program. AMC also recently announced that its 12-month protection guarantee from the date of a member’s enrollment against any increases in A-List monthly pricing has been broadened to further provide consumers with a sustainable value. The 12-month protection guarantee for members of A-List enrolling anytime in 2018 now includes no changes in the pricing or benefits from the program within a member’s initial 12 months after joining the program. AMC Theatres A-List, the theatrical chain’s ticket subscription service and loyalty program, Sept. 17 announced a marketing partnership with online ticket services Fandango and Atom Tickets. Under terms of the deal, A-List members who may use Atom Tickets and Fandango for movie tickets can now enter their A-List membership number during checkout, securing a ticket reservation with their membership, which is applied as one of the subscriber’s three-movies-per-week allotment. Because A-List members receive the benefits of AMC Stubs Premiere, the online ticketing fee is waived. A-List subs can also purchase additional tickets in the same transaction on both sites, allowing them to bring along friends and family members to the movie. “The guest feedback and membership sign-up rate have far exceeded our expectations, but we’re constantly looking for ways to provide more opportunities … through A-List,” Stephen Colanero, chief marketing officer, AMC, said in a statement. Adding Fandango and Atom Tickets, the latter co-owned by Lionsgate, ups the profile of online ticketing across all platforms – and helps drive more moviegoers into their theaters. “Fandango and AMC Theatres have worked together for more than a decade to innovate the moviegoing experience for AMC’s guests across online, mobile and social media platforms,” said Kevin Shepela, chief commercial officer, Fandango. 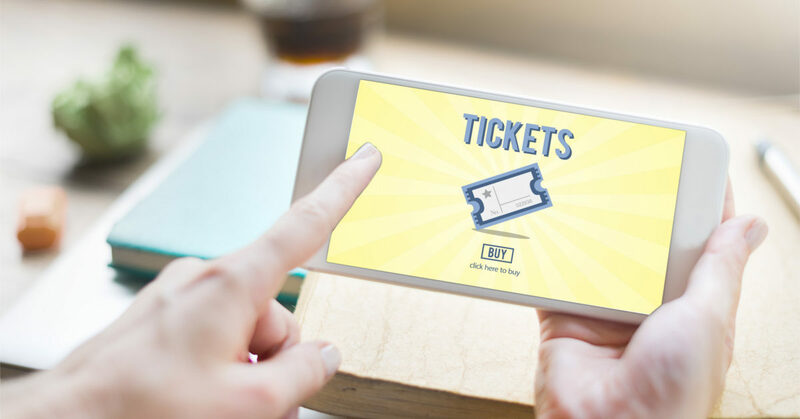 “Recognizing A-List membership is … a natural extension of our support for exhibitor loyalty programs,” added Matthew Bakal, cofounder and chairman of Atom Tickets. Looking to retain subscribers and diversify revenue streams, fiscally-challenged ticket subscription service MoviePass Aug. 30 announced a promotional deal with Postmates, the San Francisco-based online courier service. 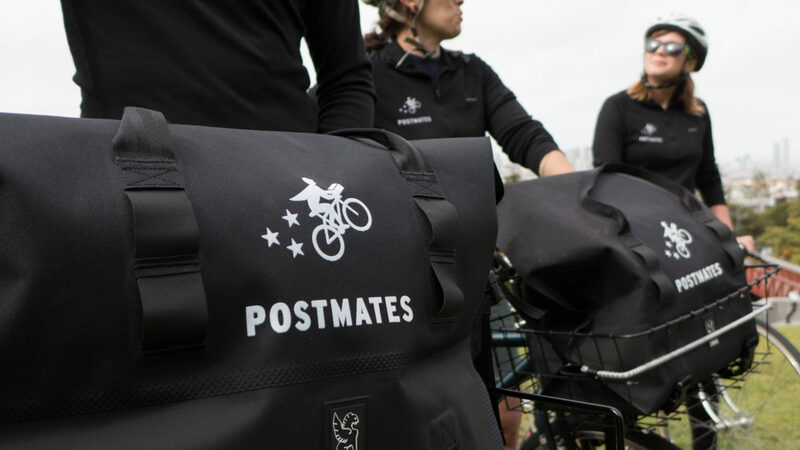 Postmates gives consumers access — via courier delivery — to more than 250,000 local merchants that were previously inaccessible online in more than 385 cities. Postmates has helped create an alternative infrastructure for local businesses to better compete against retail goliaths such as Walmart, Amazon and Target. The agreement affords MoviePass subs special discounts and credit toward both services through promotions within the MoviePass app. MoviePass will promote Postmates within its app and on corporate parent Helios and Matheson Analytics’ Moviefone.com website and provide subs with access to Postmates delivery credits, a week-long free trial of subscription service, Postmates Unlimited, and a credit toward one month of MoviePass. MoviePass CEO Mitch Lowe said the pact is part of a larger strategy to provide an array of deals to subs, tapping different companies and brands to develop “creative and innovative” consumer offerings. Previous MoviePass brand partners include iHeartMedia, Fandor, Costco and others. Additionally, this relationship furthers MoviePass’ ongoing effort to develop non-subscription-based revenue channels. “Knowing that the vast majority of our subscribers generally have at least one streaming subscription at home, it was a no-brainer to bring them real value not just at the movies but on the comfort of their couches through our relationship with our friends at Postmates,” Lowe said. Diversifying revenue streams would appear to be a mandatory considering HMNY’s stock is trading at 2 cents per share as Wall Street and consumers turn their backs on the MoviePass business model – and ongoing changes to it. The $9.95 monthly service a year ago generated millions of subs offering daily access to a theatrical screening. With MoviePass paying exhibitors face value for every ticket used by subs, the service has been hemorrhaging millions of dollars more than it generates. As a result, theatrical access has now been restricted to three screenings monthly, in addition to select movies and exhibition times. At the same time, AMC Theatres launched a rival service enabling subs access to three screenings weekly for $19.95 per month. The service has more than 260,000 subs.